Desc: Sterling Silver Sleepy mare dangle earrings. The Sterling Silver earrings dangle from French wires. 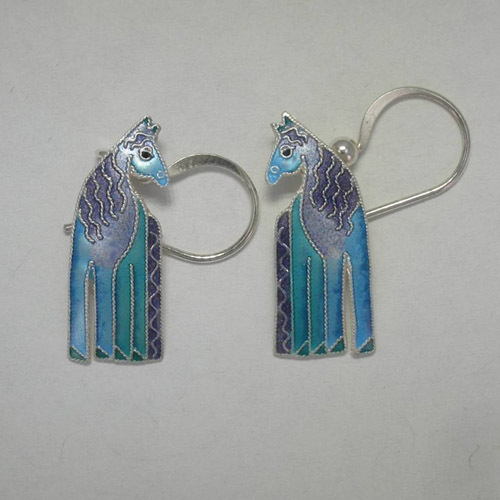 The earrings are standing horses and have sleepy eyes. 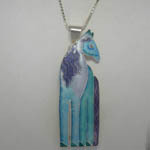 Each horse has vibrant blue and purple enamel. The long mane and tail are deep purple. The earrings have a bright polish finish. We have a matching necklace, see SK933.